Gardens and Art of Japan for Slow Pokes May 7 to May 18, 2019 This tour has been created for those who are slow walkers but all are welcome. We have eliminated long walks and places that have lots of steps or hills. Narita for your first night’s stay. 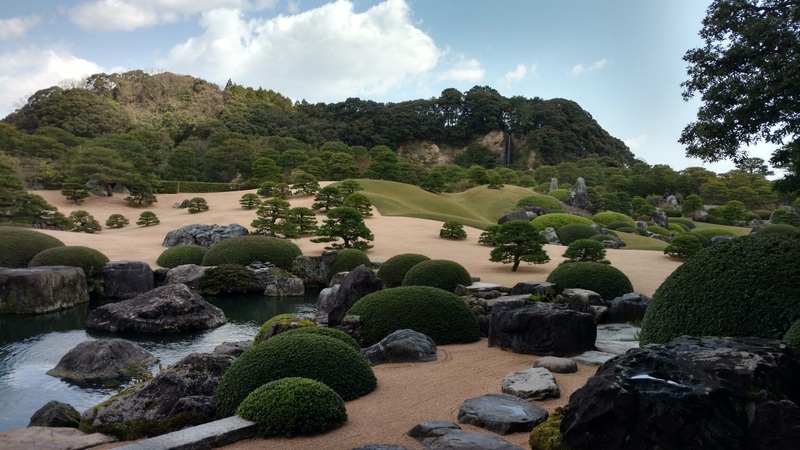 Day 3 – Today a private coach will take us to visit the Adachi Museum of Art and its gorgeous contemporary garden, considered by many as the world’s most beautiful garden. The view, a living painting, unfolds before us in a calm and serene way, refreshing our spirits. The museum has a wonderful collection of beautiful modern Japanese paintings by Yokoyama Taikan and other Japanese artists as well as a collection mingei folk pottery by Kitaoji Rosanjin and mingei potter Kawai Kanjiro. We’ll have lunch together at a restaurant near the museum. 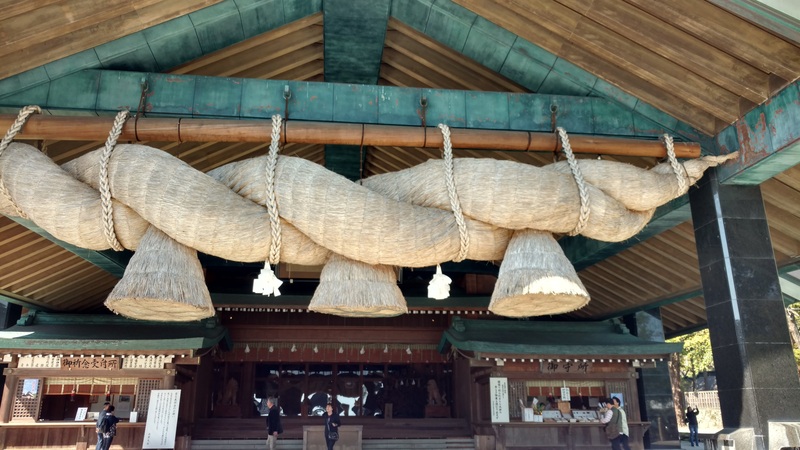 In the afternoon our coach will take us to visit Izumo Taisha, one of Japan’s most important and ancient Shinto shrines. According to two of Japan’s oldest historical chronicles, the Izumi area, considered ‘the realm of the gods or the land of myths’ was designated by the deity, or kami, Amaterasu as the place from which Japan was first ruled. 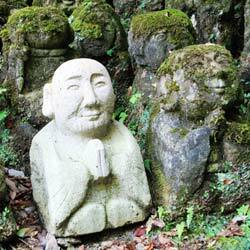 The shrine, first mentioned in historical records 1,400 years ago, is dedicated to Okuninushi, considered the creator of Japan and the god of happiness and good relationships, as well as to Kotoamatsukami, heavenly kami. The main hall was built in the Taisha zukuri or oldest Shinto shrine style architecture and at the time, was the tallest building in Japan. We’ll be dropped off at our hotel afterwards. Dinner is onyour own tonight. .
checkerboard pattern. Funda-in was built in 1465 by a noted artist, Sesshu and rebuilt in 1939. 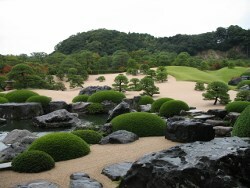 It is the most historically important landscape at Tofuku-ji. 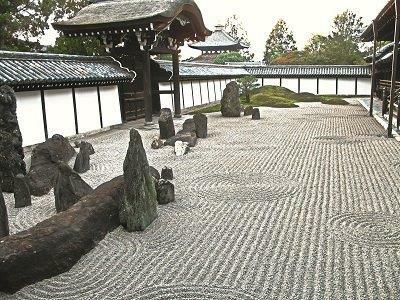 There are two interconnected gardens both displaying a unity and harmony characteristic of the finest Zen gardens. We’ll have dinner together this evening. 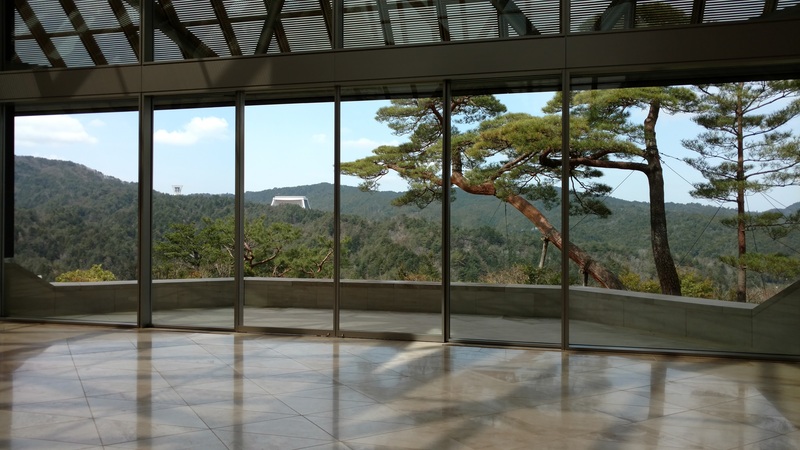 Day 6 – At 9:00 am a private coach will take us to the Miho Museum, located in a spectacular forest and mountain setting about 1.5 hours east of Kyoto. Architect I.M. 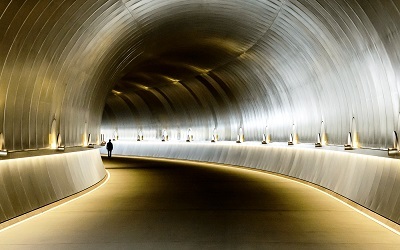 Pei designed the Miho Museum in an area that reminded him of the landscapes of China. You can reach the museum by walking or by riding shuttles provided for visitors. The museum was by Shinji-Shumei-kai, a new religion that is an offshoot of Shinto (the ethnic religion of Japan). Its main tenet is that spiritual fulfillment lies in an appreciation of nature and of art. The religion was developed by Koyama Mihoko, heiress to Toyobo, a textile manufacturer, and the museum holds her personal collection of over 2,000 objects valued at over a billion dollars. 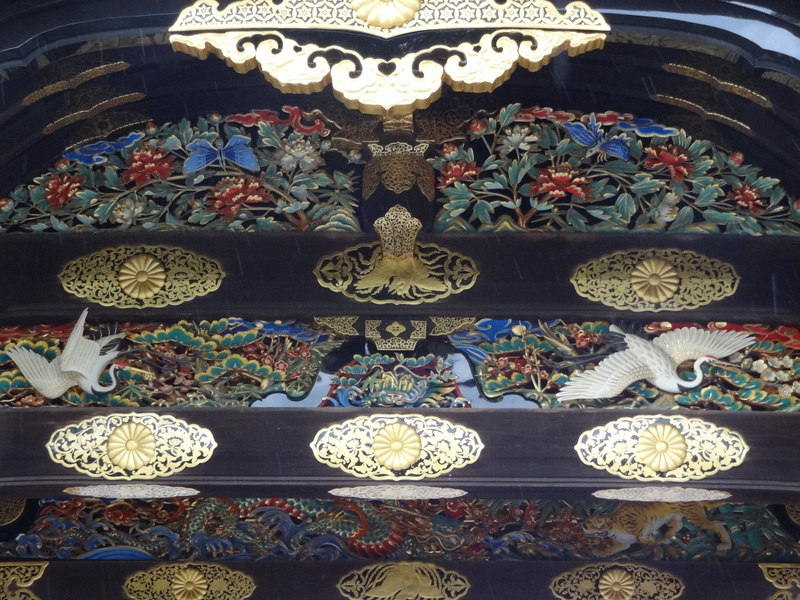 It has two wings, one devoted to Asian art and the other to classic ancient world art. At 12:00 noon please gather in the Pine View Tea room for lunch. Next, we’ll visit the home and studio of Takahashi family of potters in nearby Shigaraki where pottery making began in the 13th century and became famous as one of six favored styles of the tea masters a century later. We’ll have the opportunity to be guests of a family of three generations of local potters in their home and studio where we’ll learn about their lives and their styles of pottery. Day 7 – This is your Free Day to explore something of personal interest. Feel free to ask us for suggestions and advise. 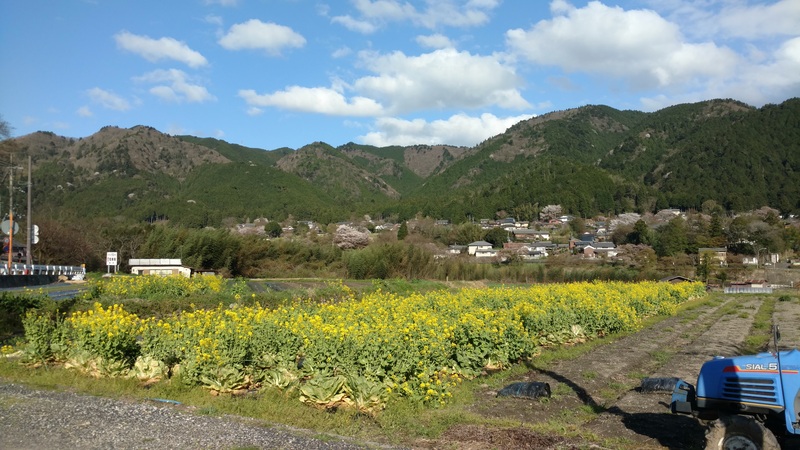 Day 8 – We’ll travel by taxi to Ohara, a picturesque village in the mountains north of Kyoto to visit two of my favorite temples, Sanzen-in and Hosen-in. We’ll have lunch at Wapato, a wonderful organic food restaurant located in a renovated farm house. After lunch we’ll return to the city to the Fureikan, Museum of Kyoto’s Traditional Arts and Crafts, where you can admire excellent displays of numerous crafts with explanations of how they are made and see crafts people at work as well. Next, to one of my favorite neighborhoods for tea and sweets at Ippo-do, a 400-year old purveyor of tea. This off the beaten path but lively street is filled with a number of excellent craft shops with handmade paper, indigo textiles, metal work, lacquer, woodblock prints, and more. Dinner is on your own tonight. Day 9 – This morning, we travel to Kamakura by train, arriving around noon. We’ll lodge at Hotel Sotetsu Fresa Inn Fujiwara for two nights. After dropping off our bags we’ll take a taxi to fascinating Kamakura Daibutu, Dinner is on your own tonight. Day 10 – After breakfast a Private Coach will take us to Itchiku Kubota Art Museum located 1.5 hours on the north coast of Lake Kawagochiko in the Fuji Five Lakes region. 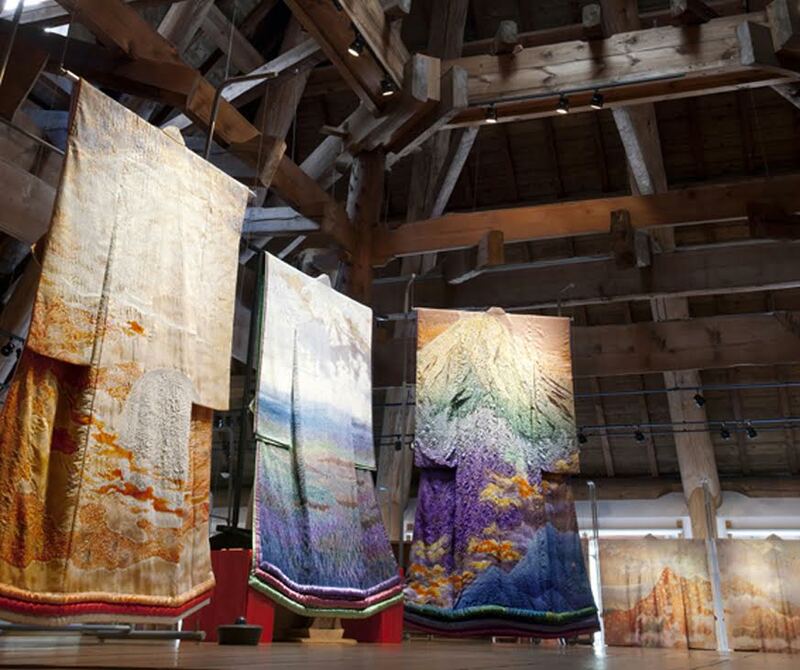 Kubota is famous for reviving and modernizing a lost 15th-16thce Shibori silk dyeing technique called Tsujinohama, used to decorate elaborate kimono. 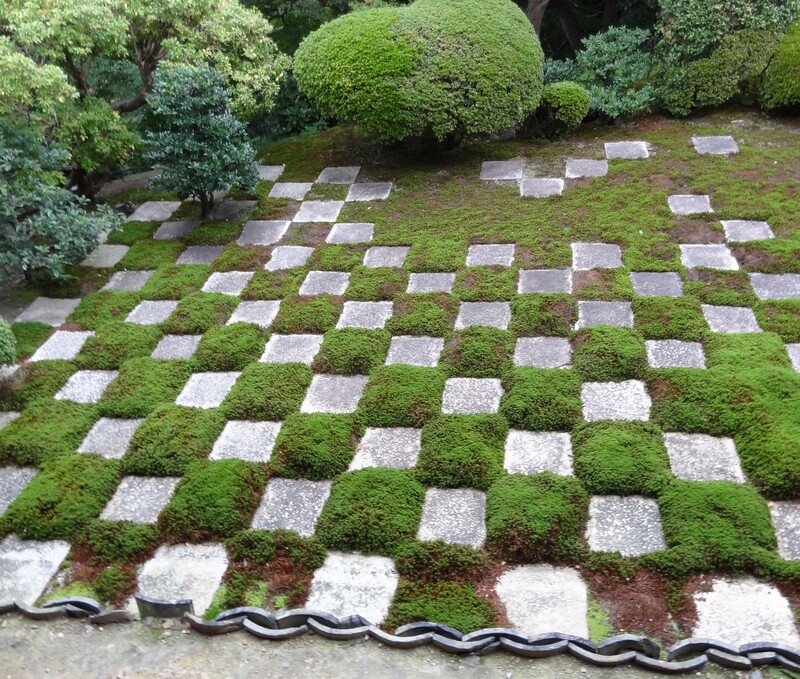 After exploring the museum and extensive gardens that were designed by Kubota himself, we’ll have lunch in the area. Day 11 – After breakfast this morning, we’ll travel to Tokyo by train, After dropping off our bags we’ll take local train to Edo Museum, one of Tokyo’s most tasteful museums. The exquisite pottery collection here is beautifully displayed and the building itself is gorgeous. 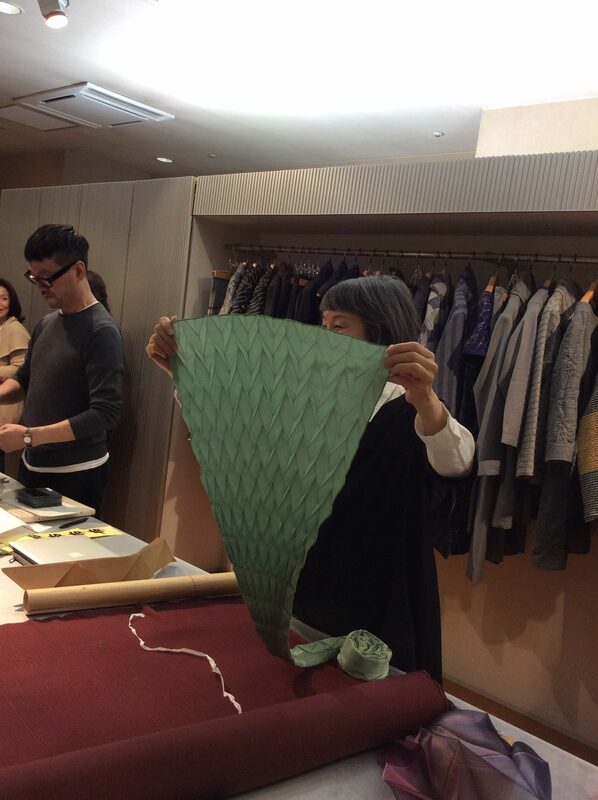 Next, we’ll visit the Axis Building in the Roppongi neighborhood that houses Nuno, Reiko Sudo’s shop of functional, innovative textile products. Her work is in numerous permanent collections around the world including MOMA in New York City. There are other galleries and shops in this building with fascinating products on display and for sale. We’ll have lunch at an Italian restaurant in the building. We’ll have a farewell dinner together tonight. We will stay at Keikyu EX Hotel Shinagawa. 11 nights with western style hotel. All transportation within the country including taxis, trains, private coach. Two knowledgeable guides throughout the tour, fluent in both English and Japanese.